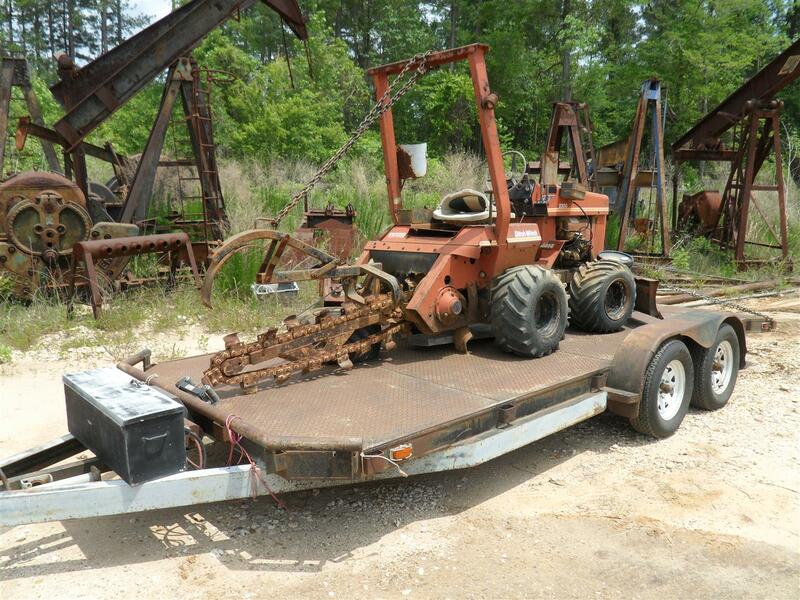 So I ran across a deal on an old Ditch Witch the other day. I was looking at an Allis-Chalmers AD4 motor grader when this little unit caught my eye. This is one piece of equipment I never thought I’d own, but they are handy when you need one. The coolest thing about it, to me, is the four-way push blade on the front. Even if I rarely have need for a trencher, I could always use a compact machine with a blade for driveway maintenance, etc. The owner told me it ran the last time they used it, but it had been setting up for a year. They tried to tell me it would still run, but I knew better than to take someone’s word for item condition. I took a close look for myself, and I’m glad I did. Upon closer inspection, I noticed the top of the muffler had a hole from rust. I then pulled the dip stick, and sure enough, the engine had water in it and was stuck. The price became right (it was actually a steal) so I scooped it up. 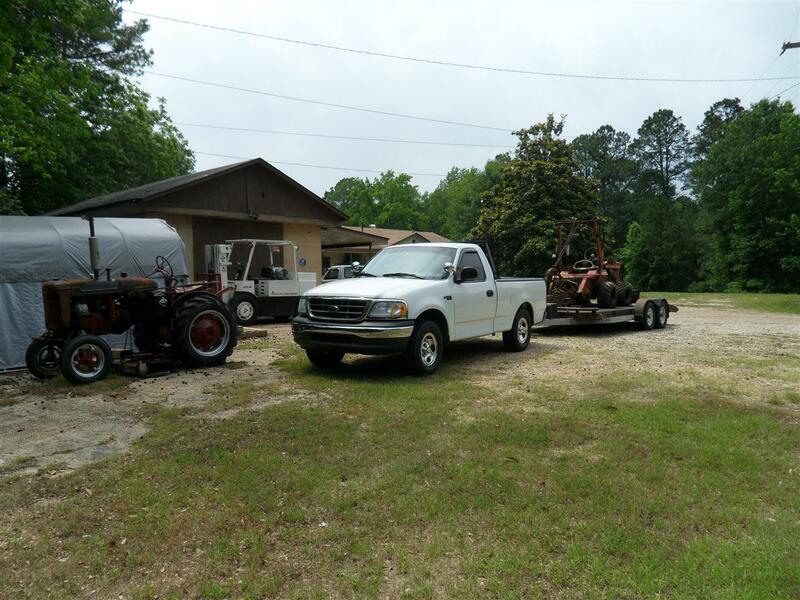 Without running, it is difficult to get the implements up which makes it a challenge to load and unload. We used a winch and some planks to skid it up on the trailer. 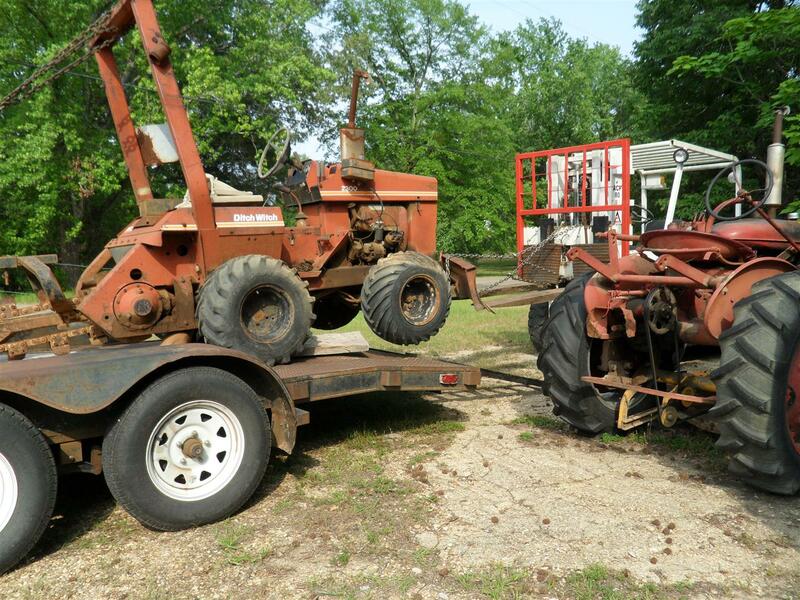 When I got it home, I used my Allis lift to drag it off the trailer and set it down.